There is a clear need for innovative technologies to improve the delivery of therapeutic and diagnostic agents in the body. Recent breakthroughs in nanomedicine are now making it possible to deliver drugs and therapeutic proteins to local areas of disease or tumors to maximize clinical benefit while limiting unwanted side effects. Nanomedicine in Drug Delivery gives an overview of aspects of nanomedicine to help readers design and develop novel drug delivery systems and devices that build on nanoscale technologies. With its practical focus on the design, synthesis, and application of nanomedicine in drug delivery, this book is a valuable resource for clinical researchers and anyone working to tackle the challenges of delivering drugs in a more targeted and efficient manner. It explores a wide range of promising approaches for the diagnosis and treatment of diseases using cutting-edge nanotechnologies. Heidi M. Mansour, Chun-Woong Park, and Don Hayes, Jr.
Arun Kumar, Ph.D., is an assistant professor in the Department of Medical Laboratory Science and the Department of Biomedical Engineering at the University of Delaware. Dr. Kumar has filled in more than 26 patents on his research related to biosensors and nanotechnology. He has presented his work at more than 60 international conferences worldwide, published more than 35 peer-reviewed research articles and two book chapters, and is an editorial board member of Sensors and Transducers Journal. Heidi M. Mansour, Ph.D., RPh, is an assistant professor of pharmaceutics and drug delivery at the University of Kentucky College of Pharmacy, a faculty associate at the University of Kentucky Center of Membrane Sciences, and a graduate faculty member at the University of North Carolina-Chapel Hill. She serves on the editorial advisory boards of eight journals in drug delivery and nanomedicine, is a member of the NIH U.S. Pediatric Formulations Initiative New Drug Delivery Systems Aerosols Working Group, and is a delegate to the U.S. Pharmacopeia (USP). Dr. Mansour has published more than 40 peer-reviewed scientific publications, five book chapters, and more than 80 abstracts. Adam Friedman, MD, FAAD, is an assistant professor of dermatology and physiology/biophysics and serves as director of the Dermatologic Research at the Unified Division of Dermatology of Albert Einstein College of Medicine. Dr. Friedman investigates novel nanotechnologies that allow for controlled and sustained delivery of a wide spectrum of physiologically and medicinally relevant molecules. He holds several patents and has published more than 80 papers/chapters on his research as well as on a variety of clinical areas in dermatology. Dr. Friedman recently published the first textbook on nanotechnology and dermatology and serves as vice president of the Nanodermatology Society. Eric Blough, Ph.D., is an associate professor and director of pharmacology and toxicology at the School of Pharmacy at Marshall University. In addition to his academic duties he is also the director for the Center for Diagnostic Nanosystems. A prolific researcher and publisher, Dr. Blough and his colleagues have received over $11 million in research awards since 1998 and published more than 150 scientific manuscripts, technical reports, and abstracts—all while maintaining a strong focus on student development and mentoring in his teaching. "This is a very timely comprehensive overview of a new and exciting field on the use of nanotechnologies in developing novel treatment strategies and diagnosis of diseases. I highly recommend this book to anyone working in the field of nanomedicine. Weighted numerical score: 90 - 4 stars!" 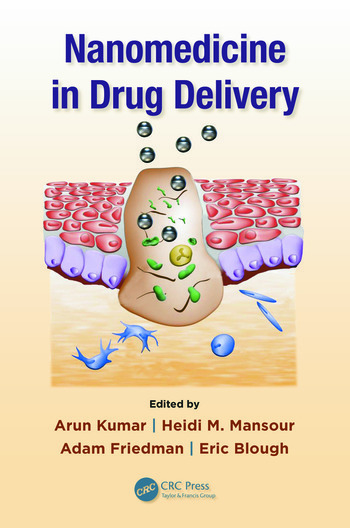 "The book covers a wide range of interesting topics, which are well organized, covering both the physicochemical characterization of the drug delivery systems and their potential clinical applications. ... In the upcoming decade, nanotechnologies are expected to provide innovative delivering devices to meet crucial clinical needs. In this context, the main strength of this book is to provide a comprehensive discussion about the most promising approaches for diagnosis and treatment of diseases. The editors are worldwide recognised experts in the field and have gathered a team of contributors to cover the several applications of nanosized materials in medical and life-sciences fields. 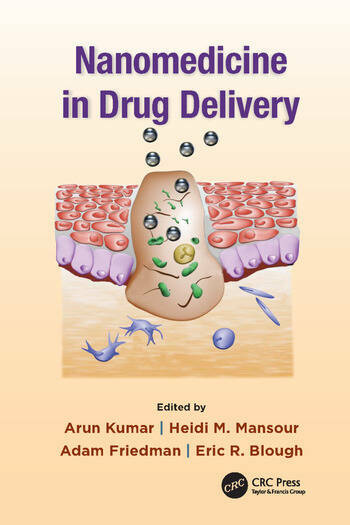 This book will help both beginners and experienced professionals working in the field of drug delivery." "... gives readers a good, balanced, and realistic evaluation of existing nanomedicine developments and future prospects—a strong foundation upon which to plan future pharmaceutical formulation designs of nanomedicine. ... covers an important field, which has a great potential and promises for optimization of advanced drug therapy and diagnostics. There is no doubt that nanotechnology and nanomedicine will be an even more important part of the tool box for pharmaceutical scientist and other health professionals involved in drug development in order to obtain advances in medicine and to improve the future of healthcare to the benefit of patients."